This article is 2798 days old. 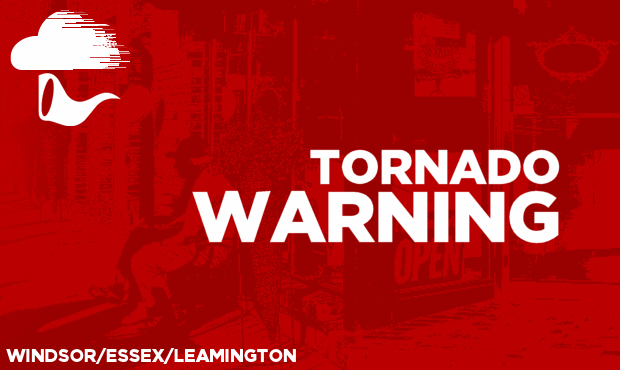 At 10:32 PM a Tornado warning was issued for Windsor – Leamington – Essex County, upgraded from Severe thunderstorm warning. Severe thunderstorms capable of producing tornadoes are over or approaching these regions. Large hail, damaging winds and heavy rainfall may also accompany these storms.